Guinea pigs have a uterus like every other female mammal that hasn't been surgically altered. Although they may have the same body parts as humans, dogs, and other species that bleed during their estrus cycles, bleeding during heat is not normal for guinea pigs. 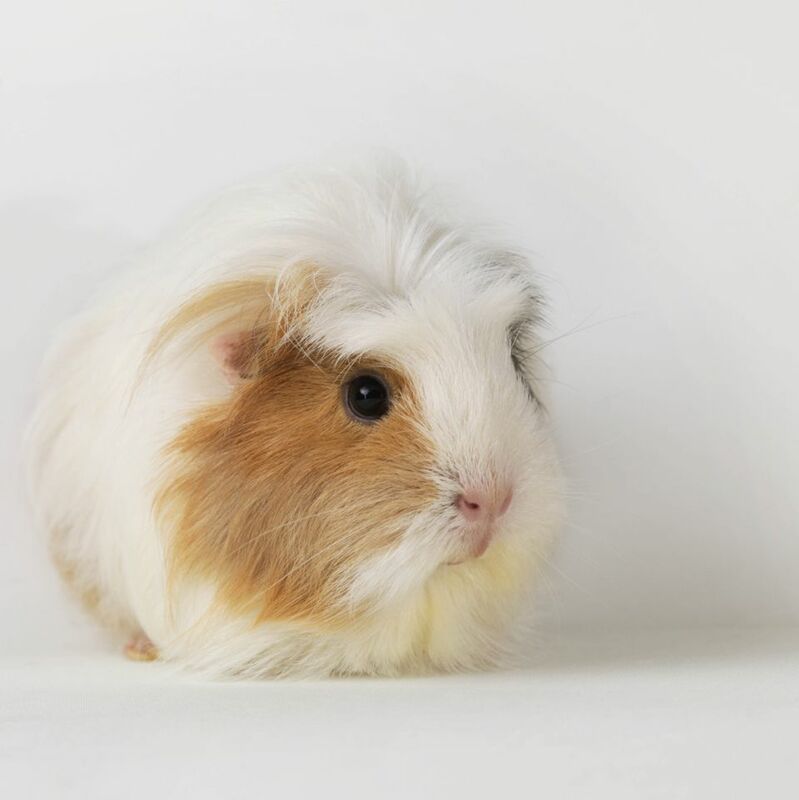 Therefore, if a female guinea pig is bleeding, she needs to see an exotics vet as soon as possible. Then Where Is the Blood From? It is possible the bleeding could still be from your guinea pig's uterus, but if that's the case, it is not normal. She may have a serious problem with her ovaries, uterus, or even her bladder. Infections, tumors, and uroliths (bladder stones) are some issues that can cause bleeding. Guinea pigs can get a pyometra (which literally means pus in the uterus) just like dogs and cats do and it is caused by a bad infection. Antibiotics are not strong enough to fight off that bad of an infection, so emergency surgery to spay the guinea pig is the only cure. Bladder stones, also known as uroliths, are also common in cavies. Bladder stones are caused when microscopic crystals in the bladder clump together to form a stone. These crystals are formed from changes in the pH of the urine and some research suggests that a diet high in calcium is also at fault. Surgery is the only alternative to remove stones too large to pass through the urethra. An exotics vet will rule out bladder stones by taking radiographs. An infection in the urinary tract and cystitis (inflammation of the bladder) can cause blood to pass in the urine. Sightings of blood tinged bedding or drips appearing when she isn't trying to urinate may have pet owners thinking that the bleeding is coming from the uterus, but it could be from her urine instead. If a cavy urinates on a non-porous surface, such as a hard kitchen floor or empty plastic litter box, try to collect the urine with a syringe or pipette to bring to an exotics vet. The doctor will test the urine for an infection and confirm the guinea pig has a UTI (urinary tract infection) or cystitis. A mass or tumor, whether or not it's cancerous, on any part of a guinea pig's reproductive tract or urinary tract may cause her to pass blood. The mass may be irritating to whatever it is growing off or the mass may have started bleeding itself, and the guinea pig is just passing the blood that is coming from the tumor itself. If this is the case, surgery is once again what is required to see if the tumor can be removed. Any time surgery is performed risks are involved. Guinea pigs stress very easily, and since they cannot be intubated during surgery, it can be difficult to keep an open airway. Always keep the risks in mind and see an experienced exotics vet to operate on your beloved cavy. Experts also recommend bringing the other guinea pigs along with the sick guinea pig to the hospital in order to help keep her calm. To avoid the possibility of a guinea pig getting a tumor or infection in her reproductive tract, get her spayed at about 4-6 months of age. This will also prevent her from getting pregnant after her pelvic bones fuse. To aid in the prevention of uroliths be sure to feed your guinea pig a balanced and appropriate diet of green veggies, timothy hay or sweet grass, and a small number of pellets alongside adequate fluid intake and Vitamin C. Know that a diet consisting of alfalfa hay in adult cavies and a large number of alfalfa pellets can help uroliths form.